Call me crazy, but when I started shooting the 12-gauge Krieghoff K-80 Pro Sporter the first thing that came to mind was not another shotgun – but a car. And it wasn’t just any car, but the BMW X6 M sport utility vehicle. 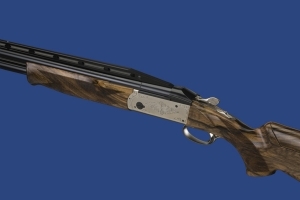 What do the Krieghoff K-80 Pro Sporter and the BMW X6 M SUV have in common? Essentially, they share an engineering philosophy that combines elements of their best products to create a new paradigm that delivers stunning results.